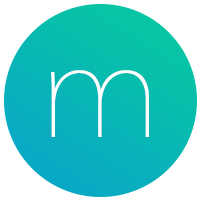 Effortlessly add, view, organize and complete your day-to-day tasks with Momentum's simple task manager, Todo. To add a new todo item, click Todo at the bottom right corner of Momentum to open the Todo menu, type your new todo item in the New Todo section, and then press the enter/return ↵ key on your keyboard. To complete a todo item, simply click the checkbox to the left of it. To uncomplete a todo item, click the checkbox again. To change the order of your todo items, click Todo at the bottom right corner to open the Todo menu, click and hold a todo item, drag it up or down the list and then release your click when it's in the spot you want it to be in. Momentum's Todo includes three lists to help you organize your tasks: Inbox, Today and Done. The Inbox list is best used as a master list to store your tasks. The Today list is best used to organize a small list of tasks that you want to complete in a single day. The Done list shows all of the tasks that you've completed. To switch between these lists, click Todo at the bottom right corner of Momentum to open the Todo menu, click the list name at the top left of the Todo menu, and then select a list from the drop-down. To move a todo item between your Inbox and Today lists, click, drag, and drop a todo on either side of the Todo menu; or hover your mouse cursor over a todo, click the ... that appears, select the Move to option, and then choose the list you want it moved to. Pro tip: Hover your mouse cursor over a todo item in your Inbox and then press the spacebar on your keyboard to move that todo item to your Today list. Not able to access the Inbox, Today or Done lists? If you can't access the Inbox, Today or Done lists, you probably aren't logged into a Momentum account. To access these lists, login to your existing Momentum account, or create a Momentum account for free! To edit a todo item, click Todo at the bottom right corner of Momentum to open the Todo menu, double-click the todo item you want to edit, make your changes and then press the enter/return ↵ key on your keyboard. Your completed todo items automatically archive at 4:00 am local time and can be found in your Done list. To manually archive all of your completed todo items, click ... at the top right corner of the Todo menu, and then select the Archive completed tasks option. To archive a single completed todo item, hover your mouse cursor over a completed todo item, click ... to the right of it, and then select the Archive option. Deleting a todo item removes it forever, so before deleting a todo item make sure that you don't need it. To delete a todo item, click Todo at the bottom right corner of Momentum to open the Todo menu, hover your mouse cursor over a todo item, click ... to the right of it and then select the Delete option. Todo is enabled by default. To turn it on or off, visit the General section of Momentum's Settings ⚙️, find the Todo option in the Show section, and then click the switch to the right of it. The additional Momentum Plus Todo features below provide more ways to organize your tasks. Go beyond the default Inbox, Today and Done lists by adding your own custom Todo lists. Autofocus connects your Todo lists to your Focus, so whenever you complete your Focus it is replaced with the next todo item on your list. Connect your favorite 3rd-party task managers to Momentum’s Todo, to view, add and update your 3rd-party tasks within Momentum. Momentum currently has Todo integrations with Asana, Todoist, Trello, Google Tasks, Wunderlist, BitBucket, GitHub and Basecamp 3. If you're interested in these extra Todo features, upgrade to Momentum Plus to gain immediate access, along with all of the other exclusive Plus member benefits!